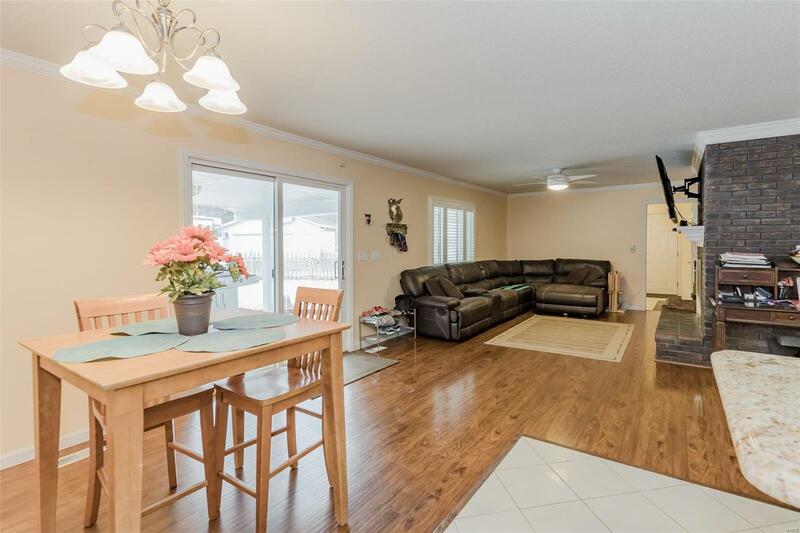 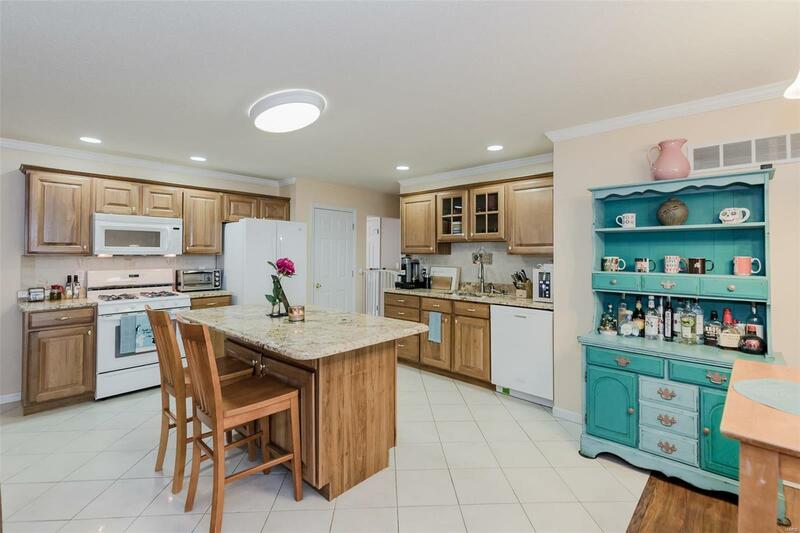 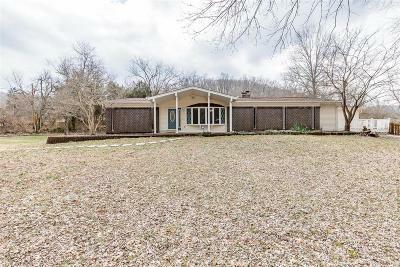 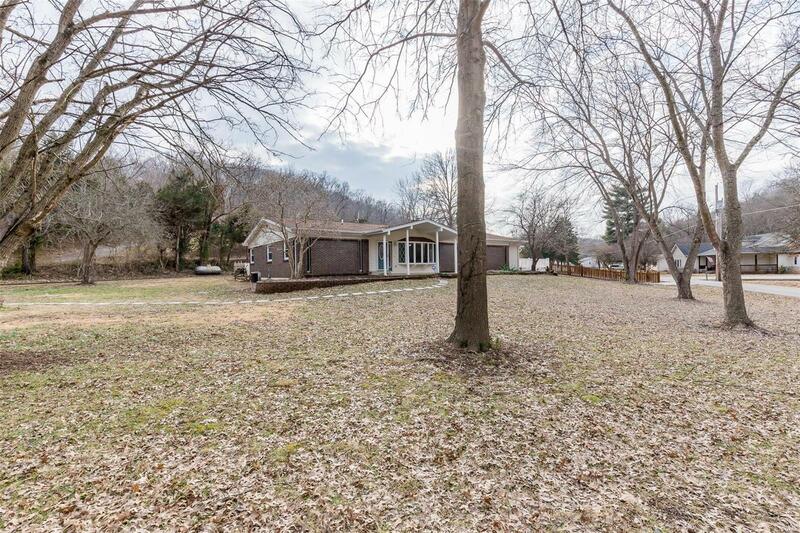 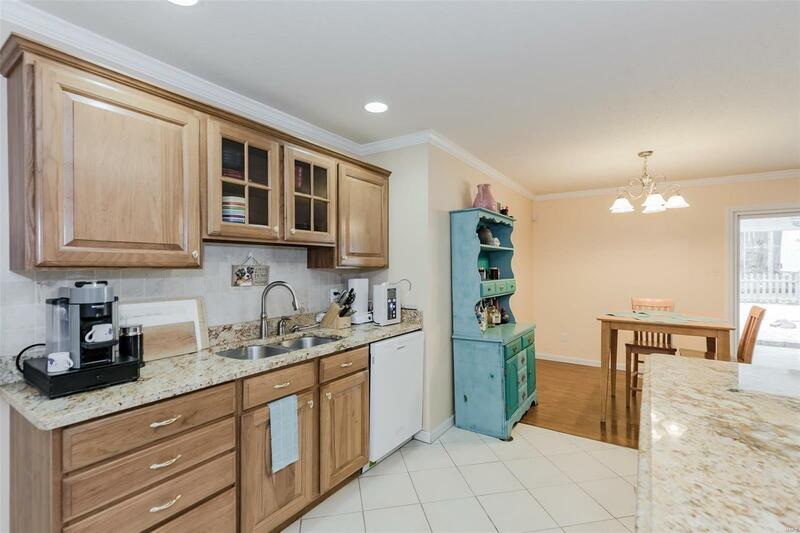 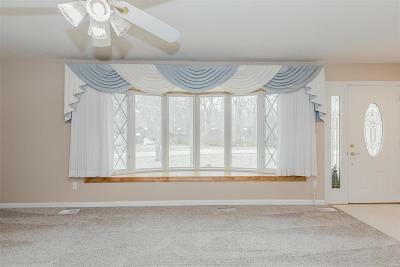 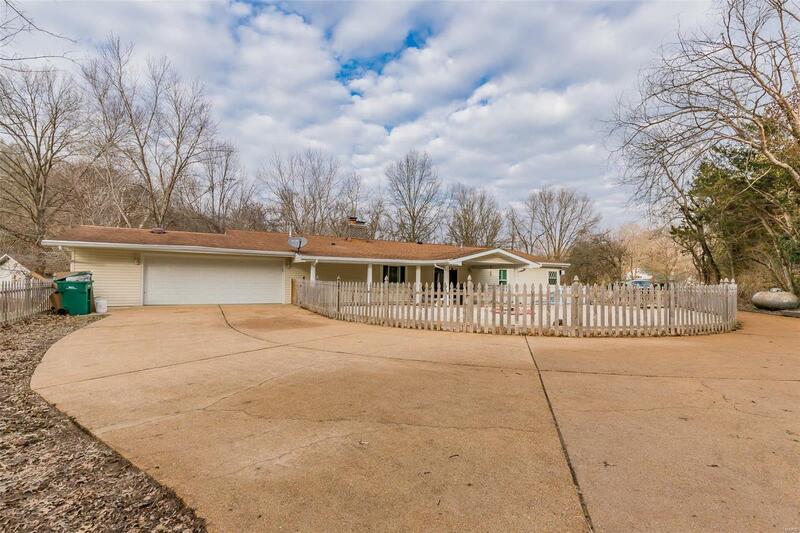 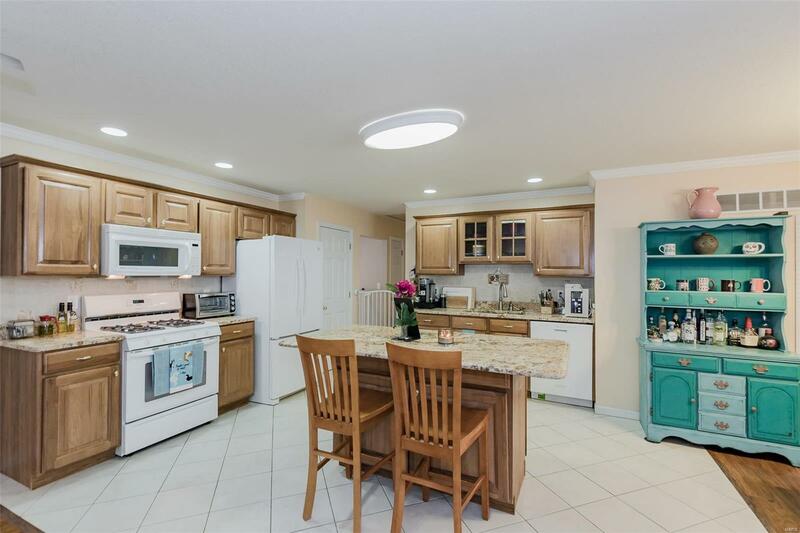 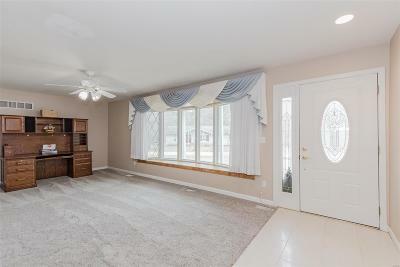 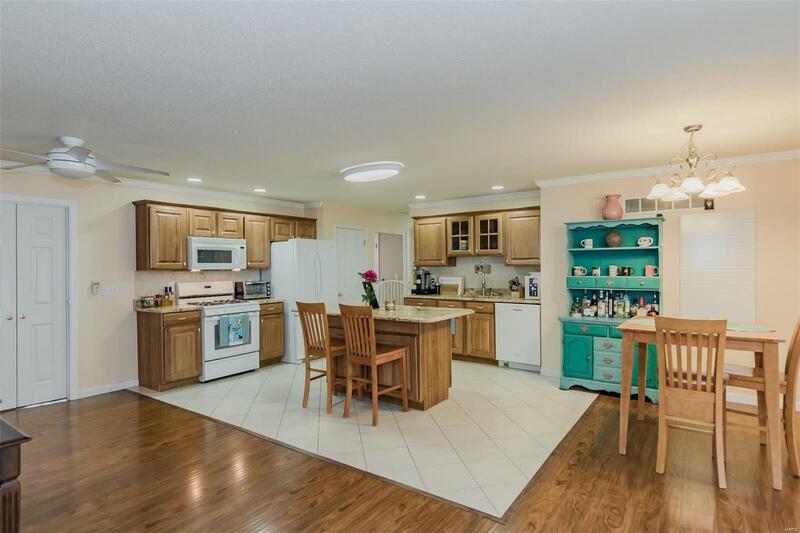 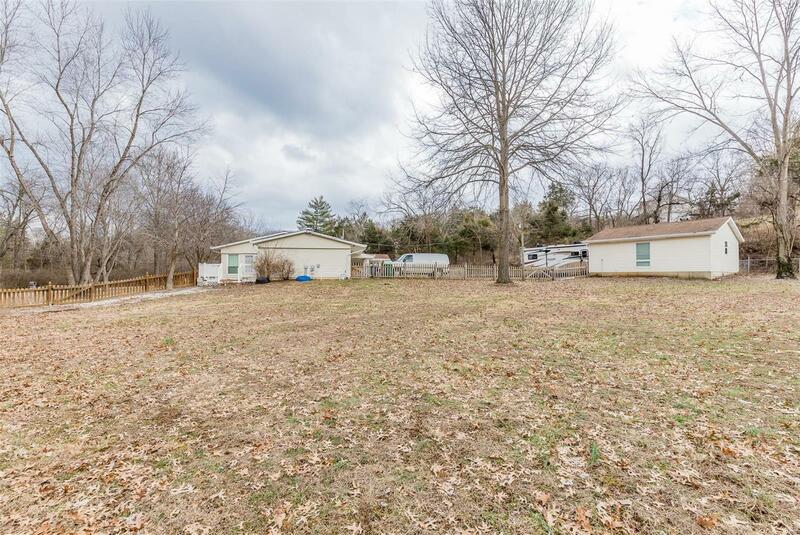 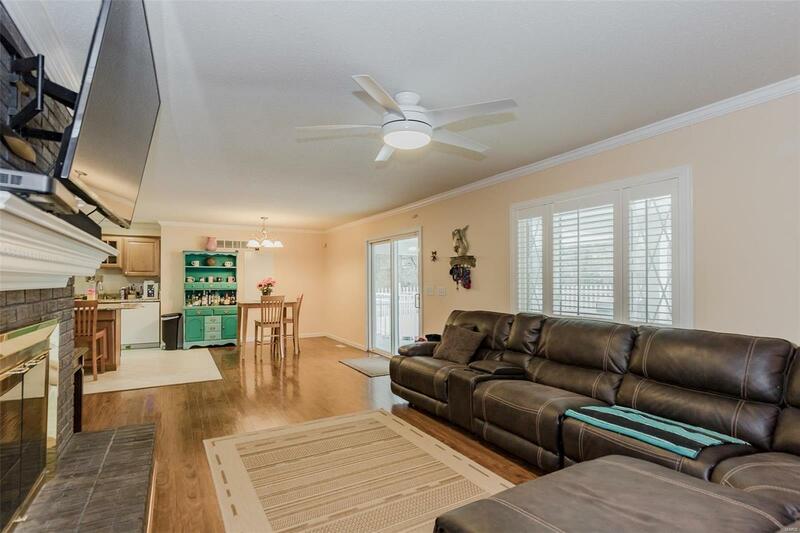 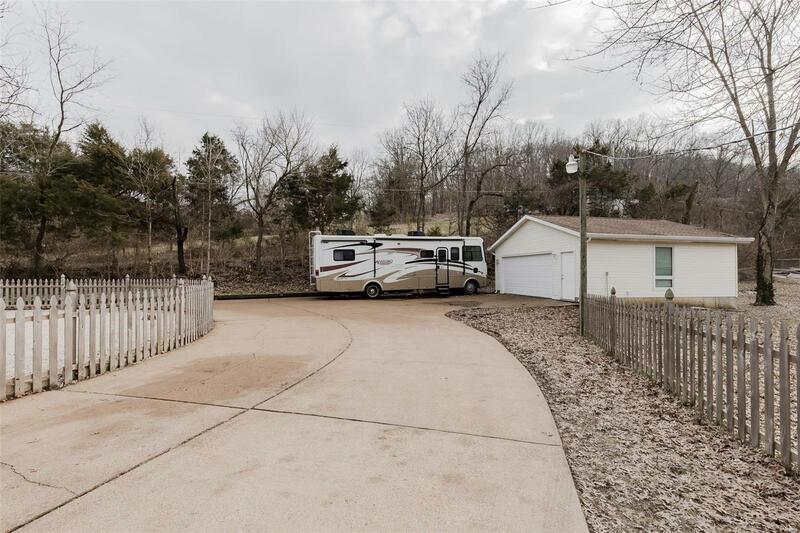 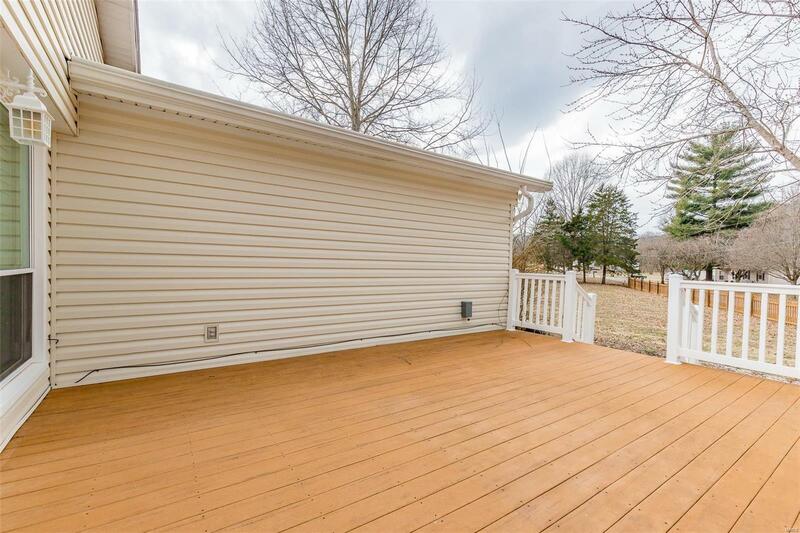 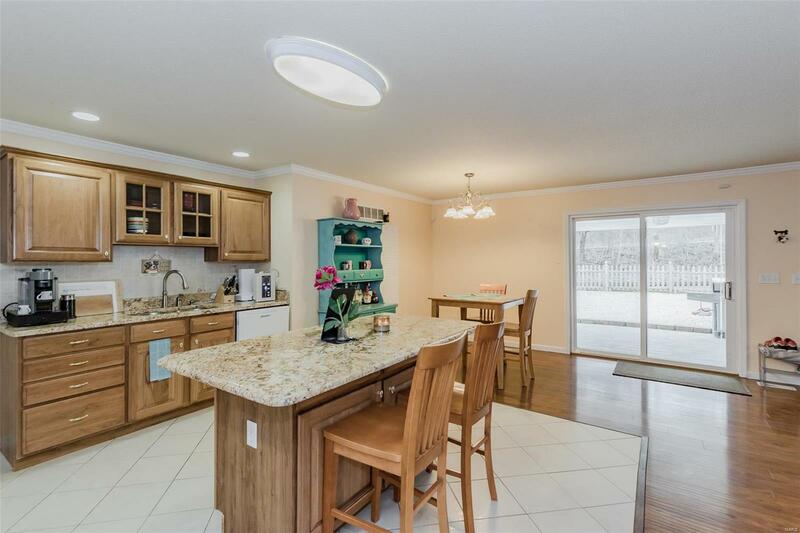 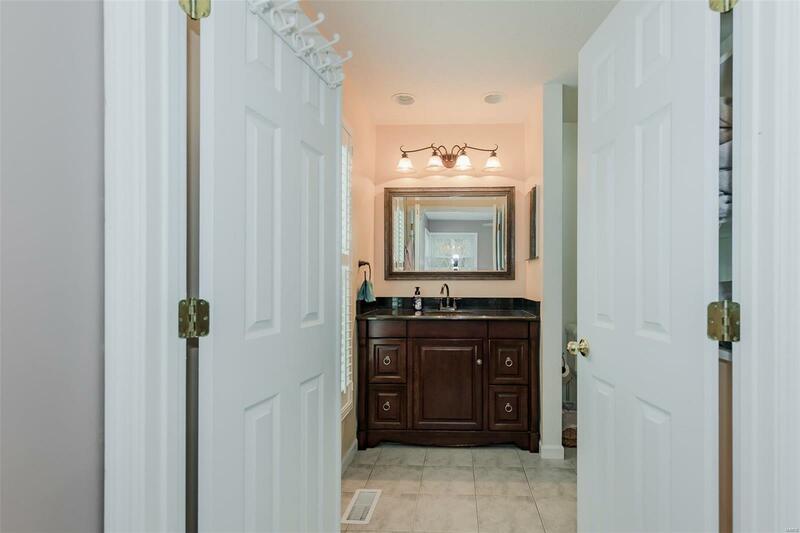 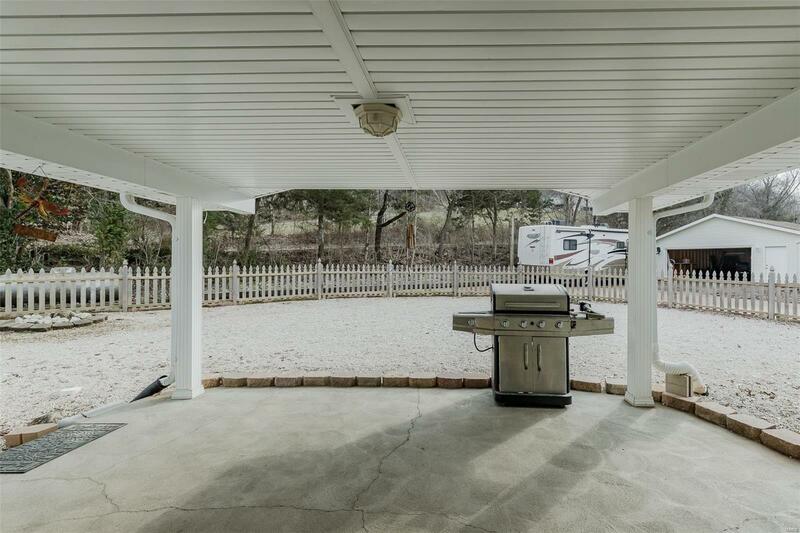 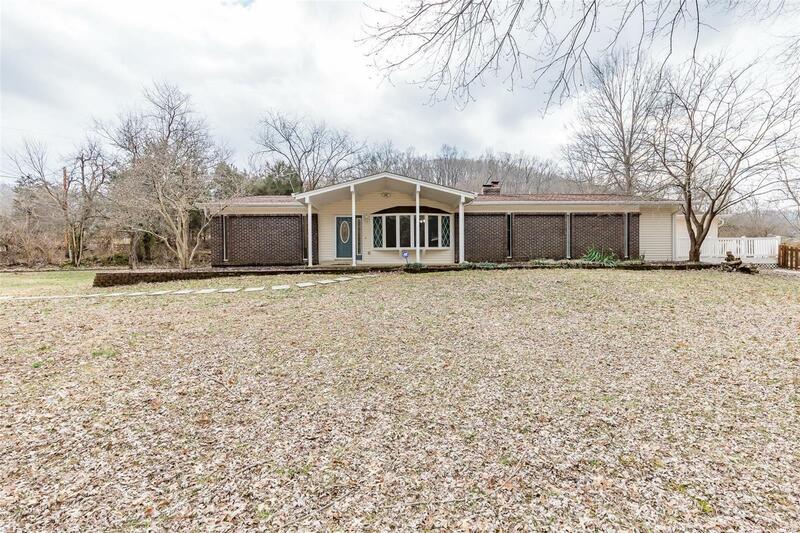 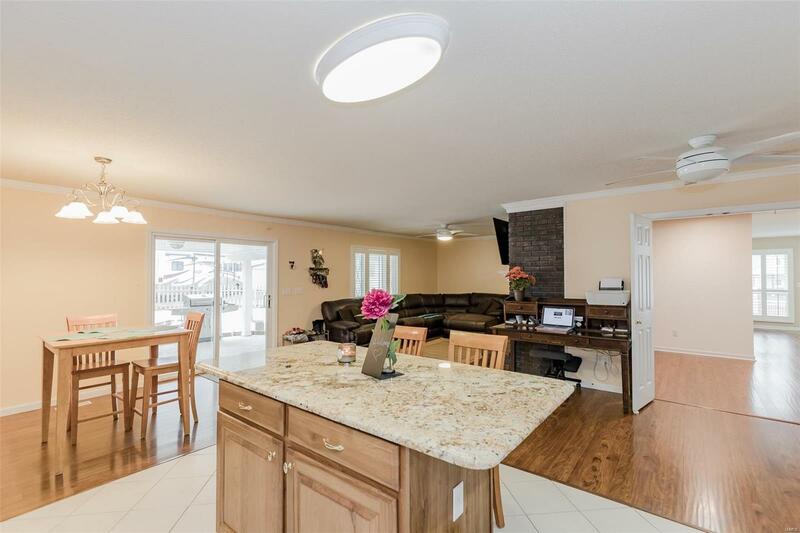 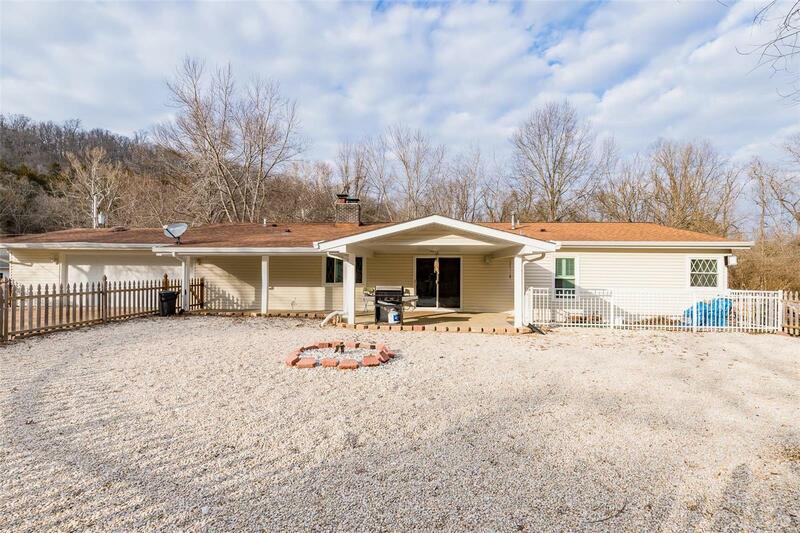 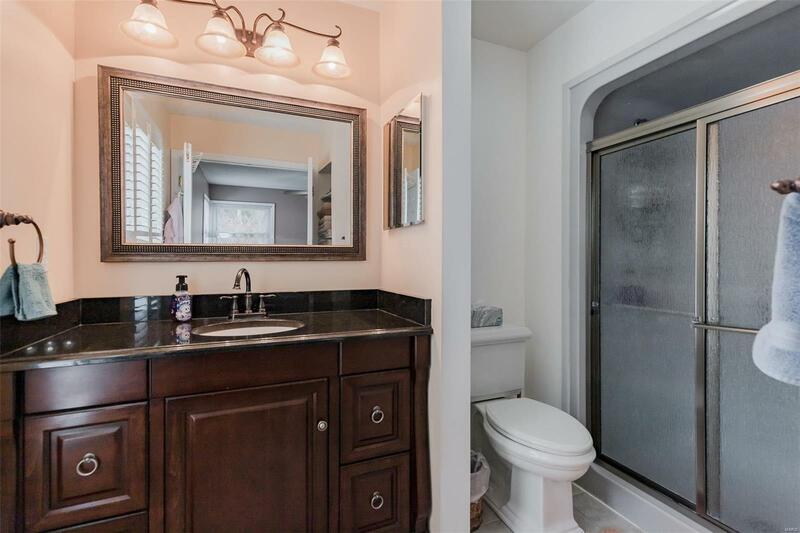 Beautiful 4 bed, 3 full bath, ranch home that sits on .97 acre,fully fenced yard, circle drive, attached oversize 2 car garage w/ a lot of storage & a 2 car oversized detached garage.This home is truly unique & one of a kind. As you walk in to the property notice the family room w/ beautiful natural light & plantation shutters throughout.This open floor plan home offers 2 master suites or an additional space for rental income, includes sep deck & full bath.Kitchen includes breakfast bar, custom cabinetry, pantry, & granite counters.Kitchen looks into breakfast room that walks out to the covered porch which includes a fully fenced rock yard for dogs or chickens. 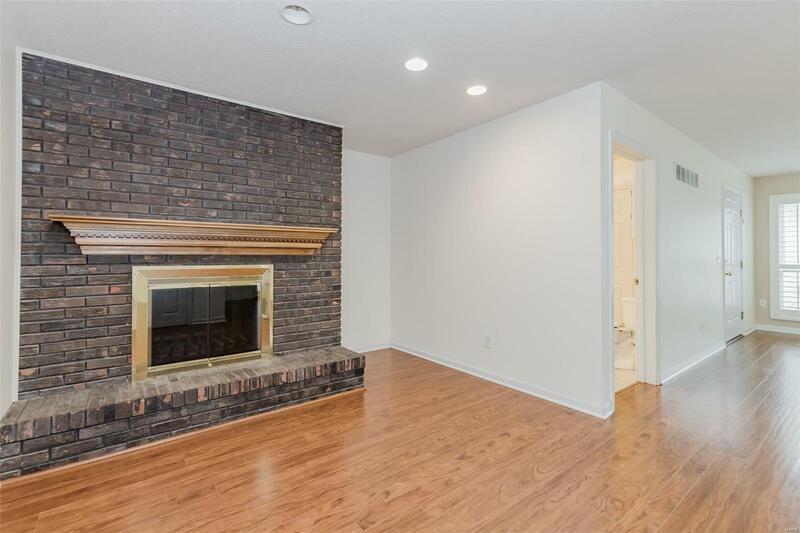 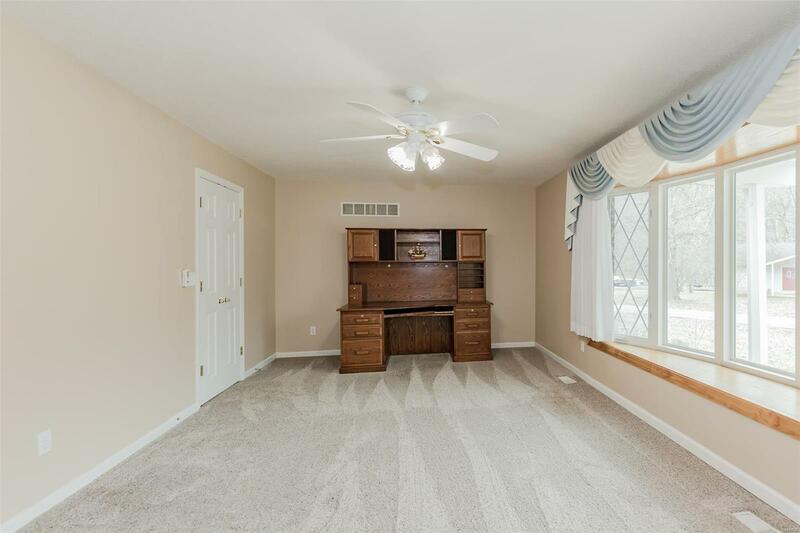 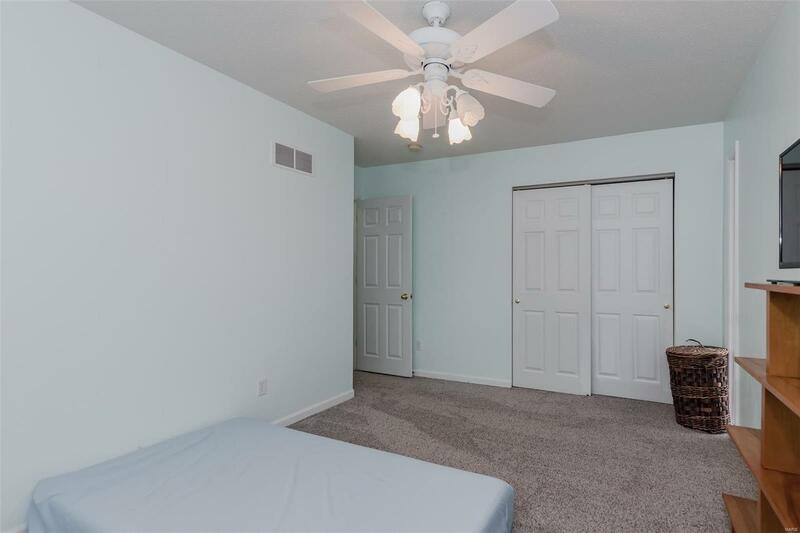 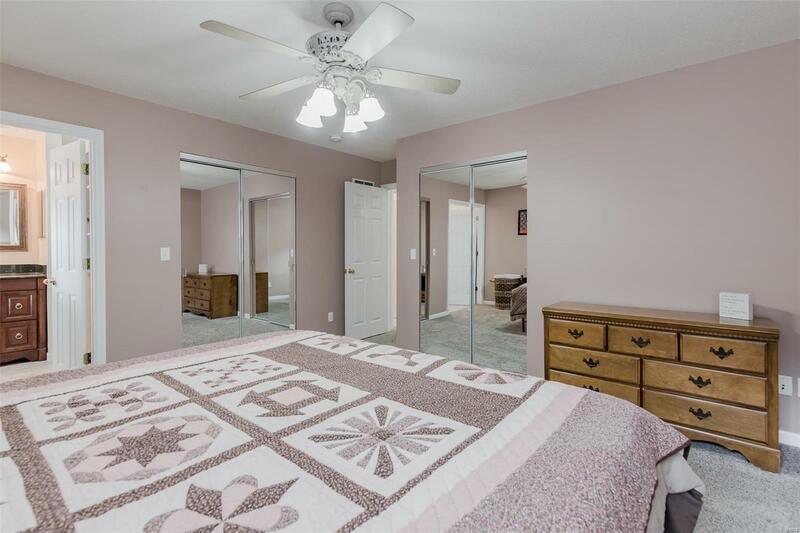 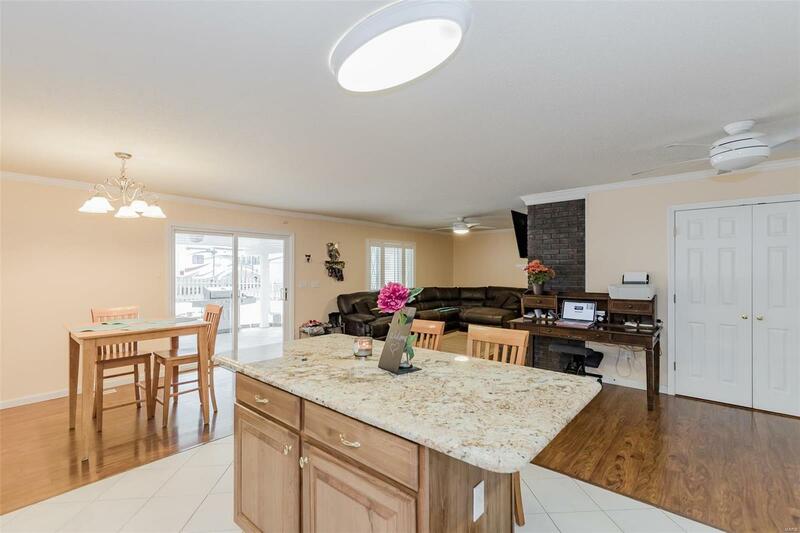 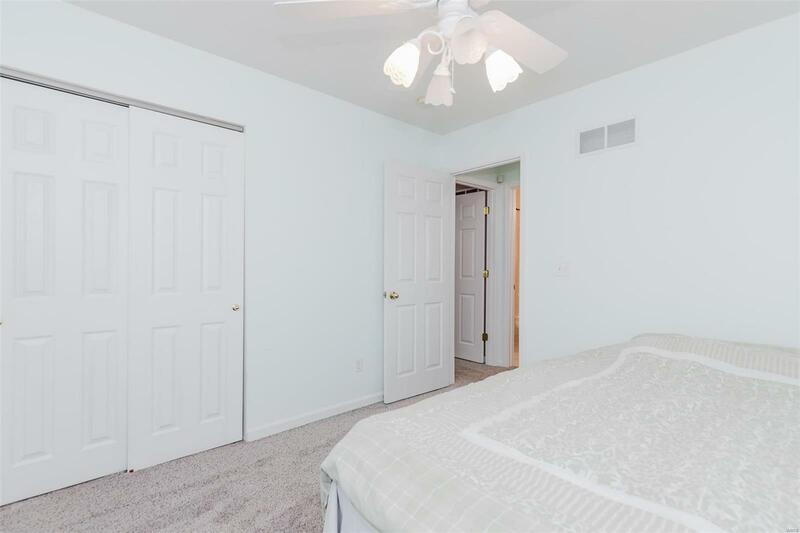 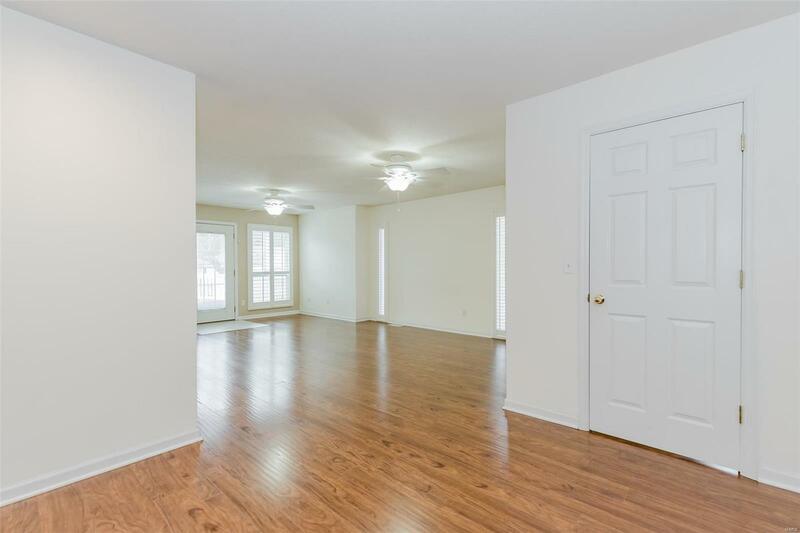 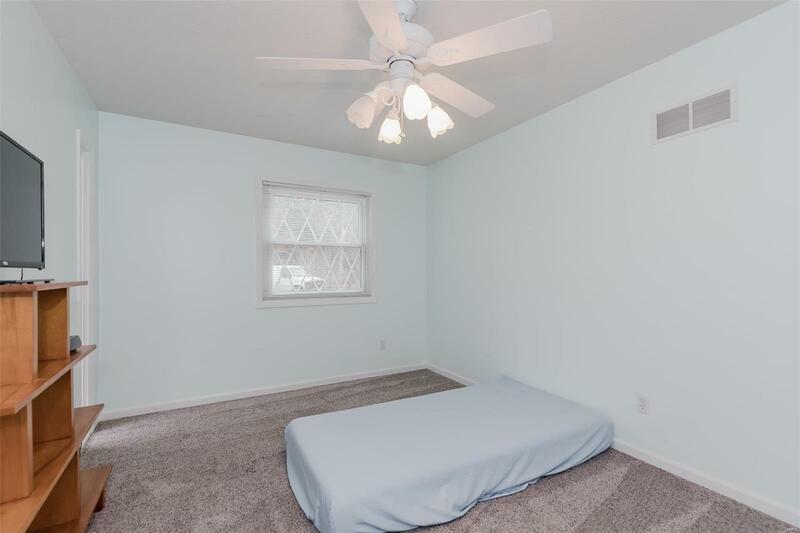 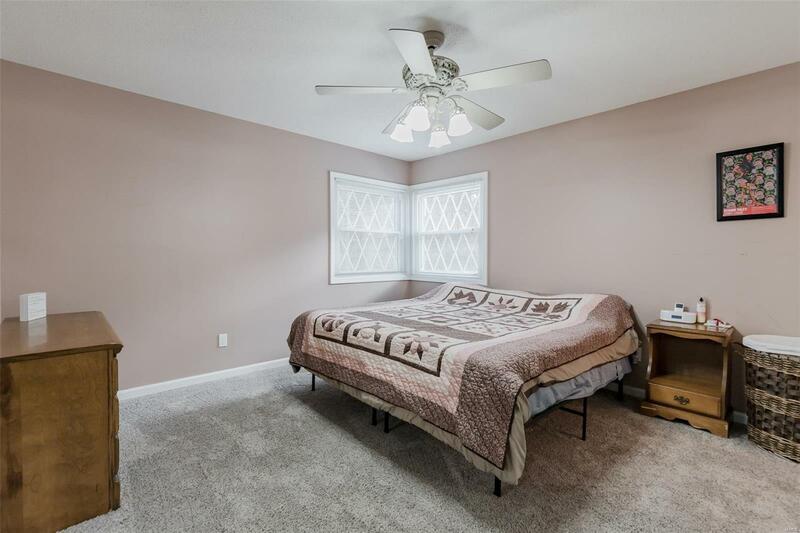 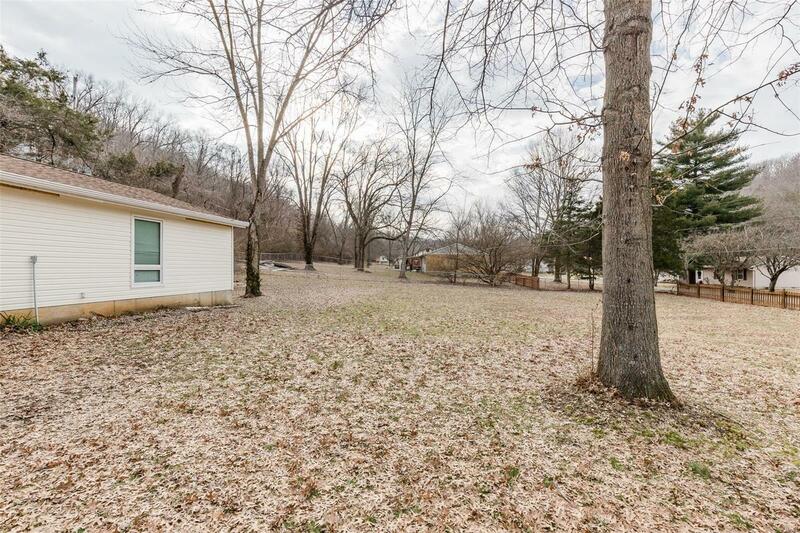 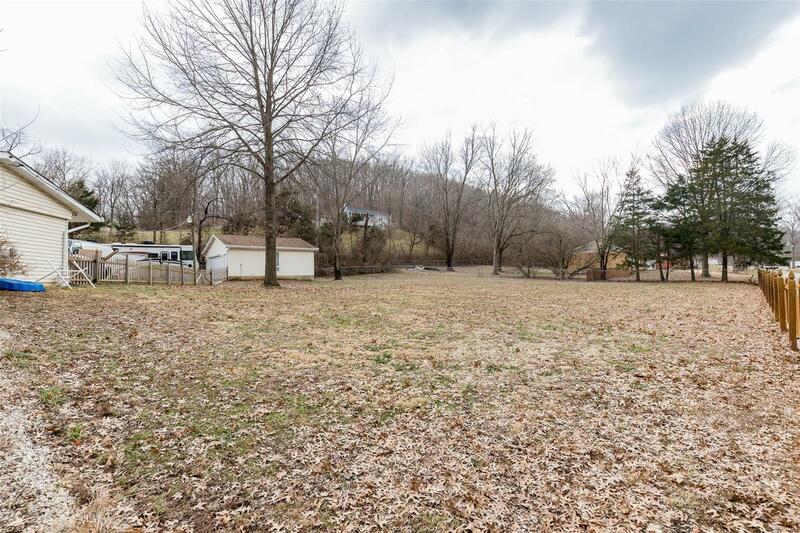 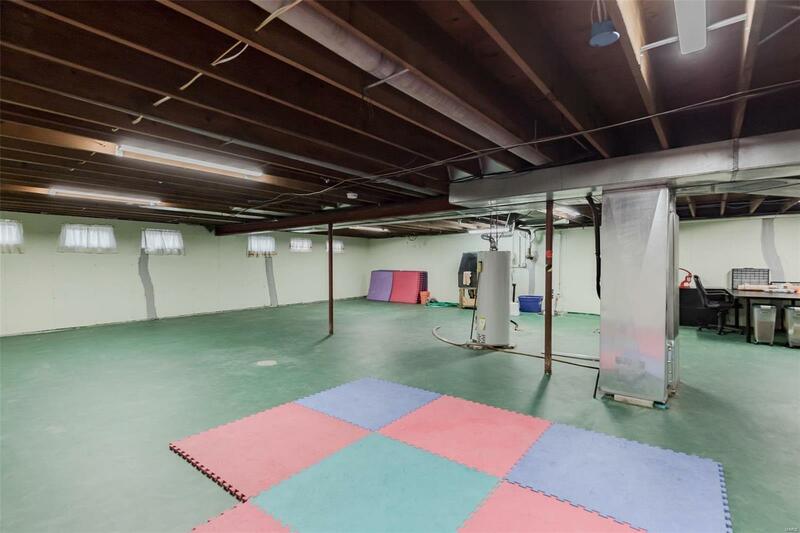 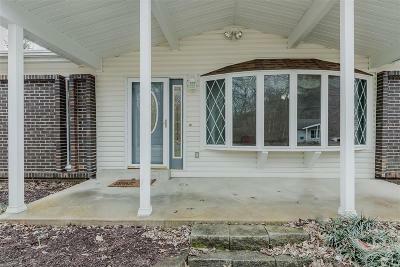 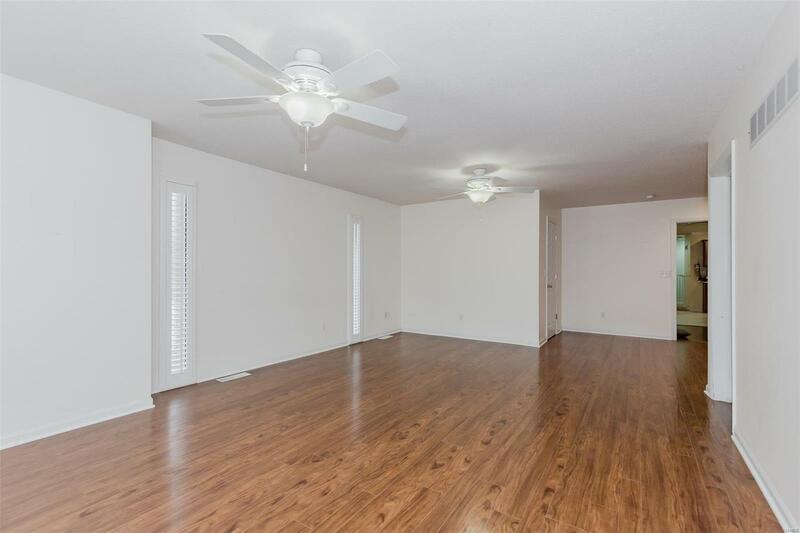 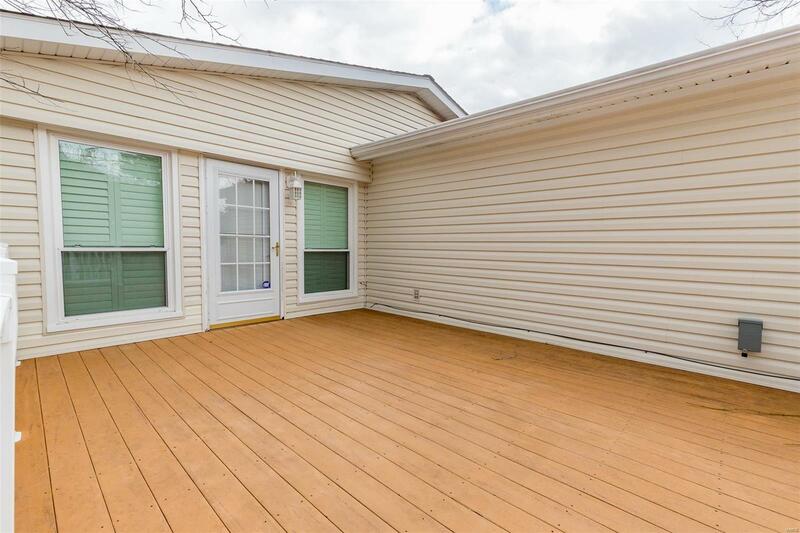 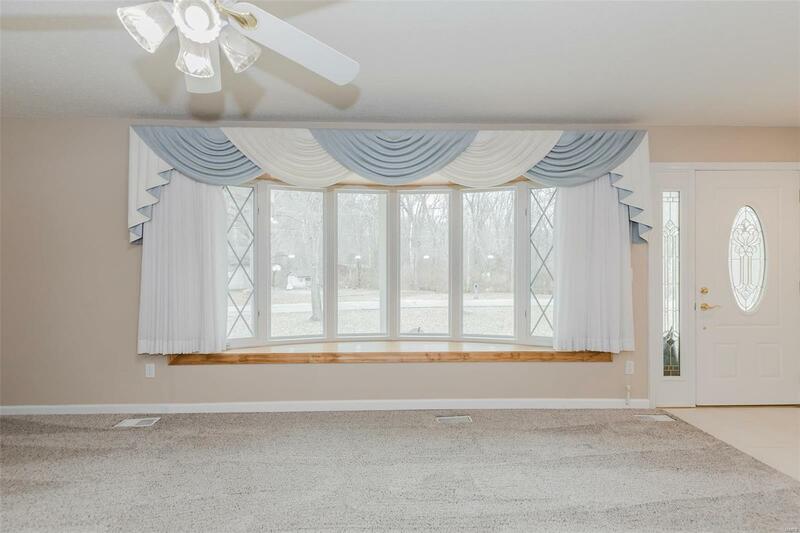 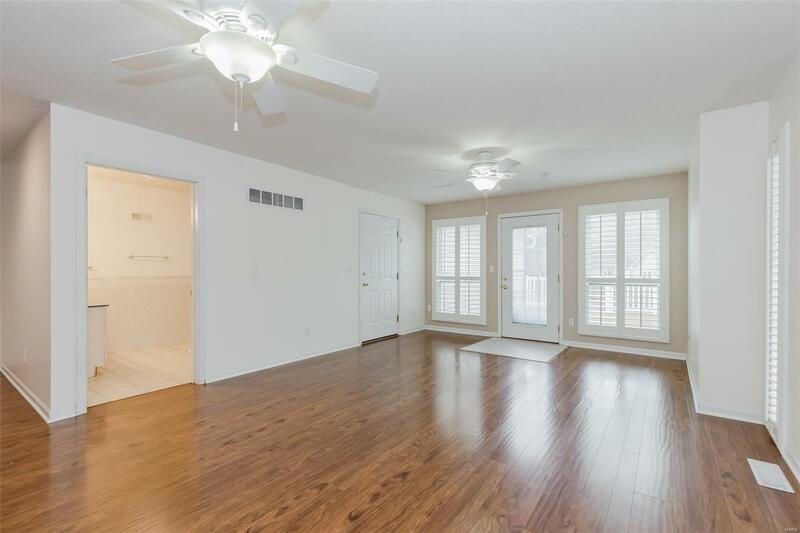 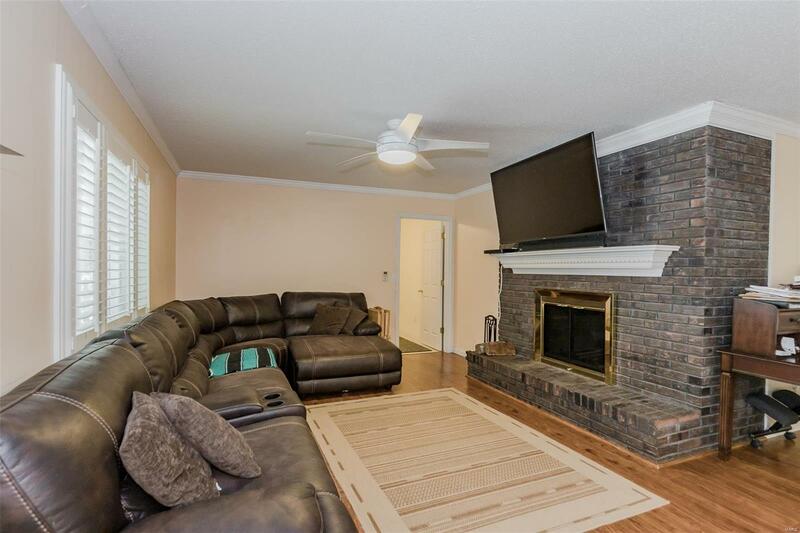 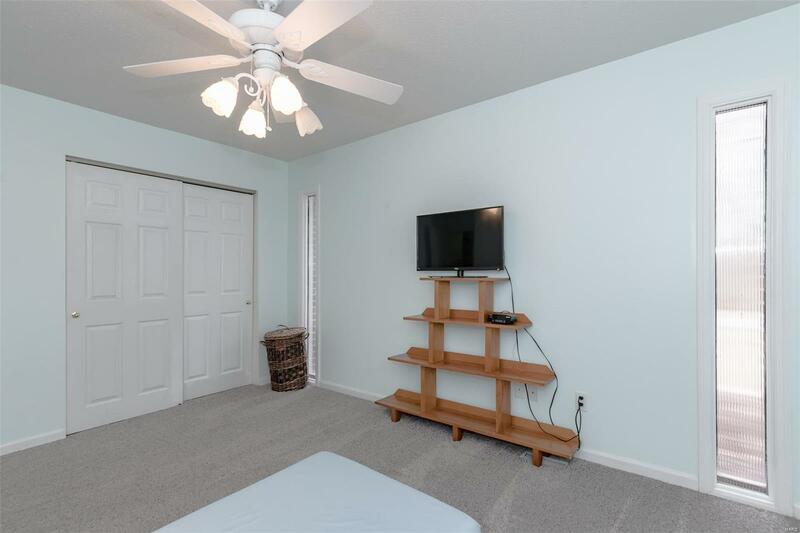 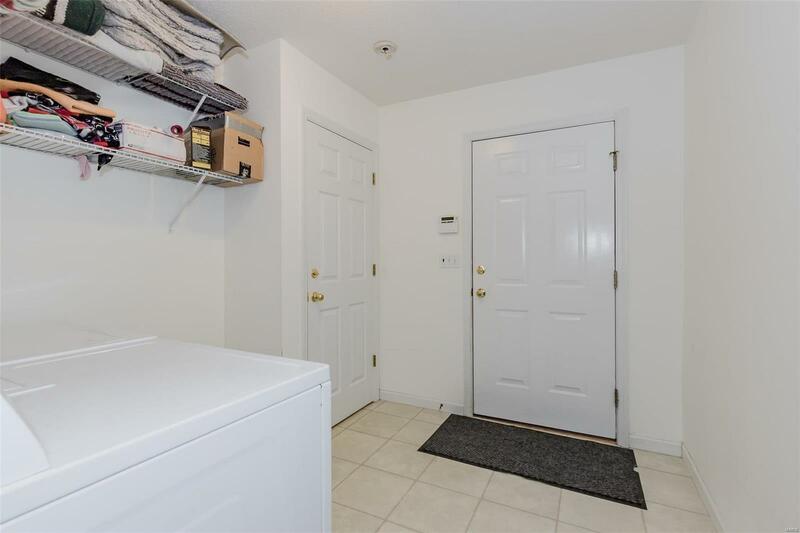 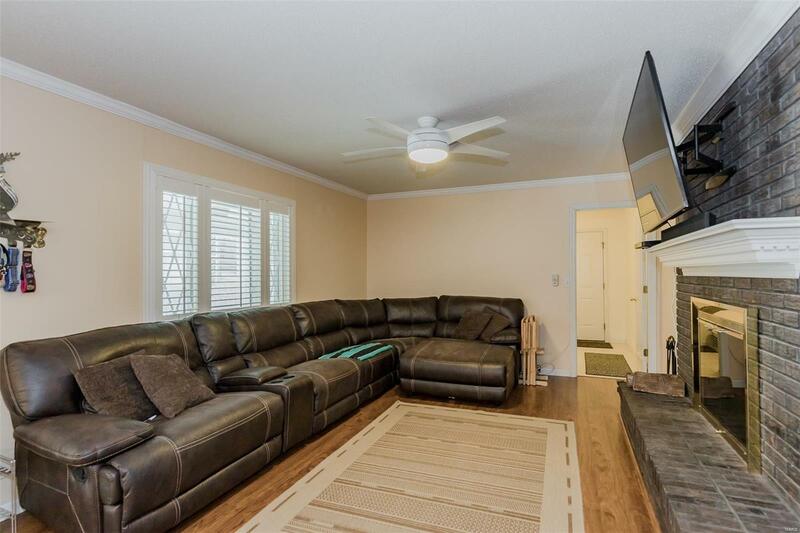 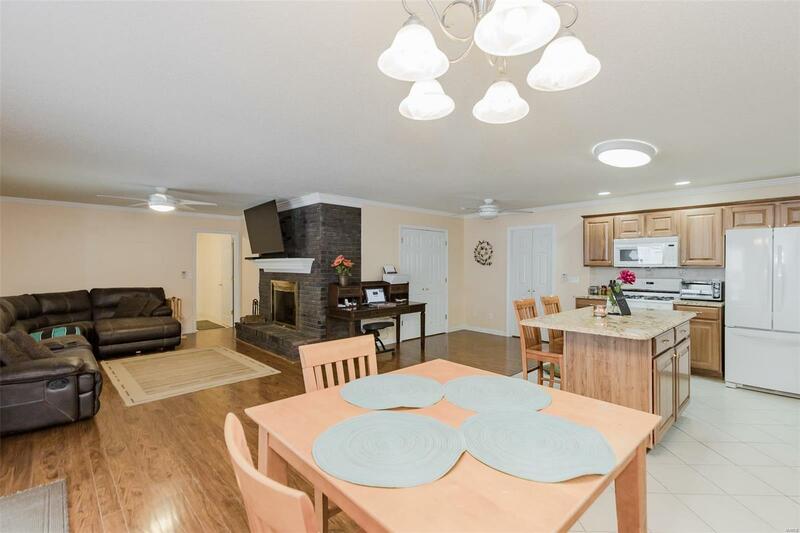 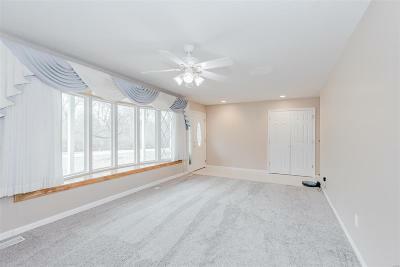 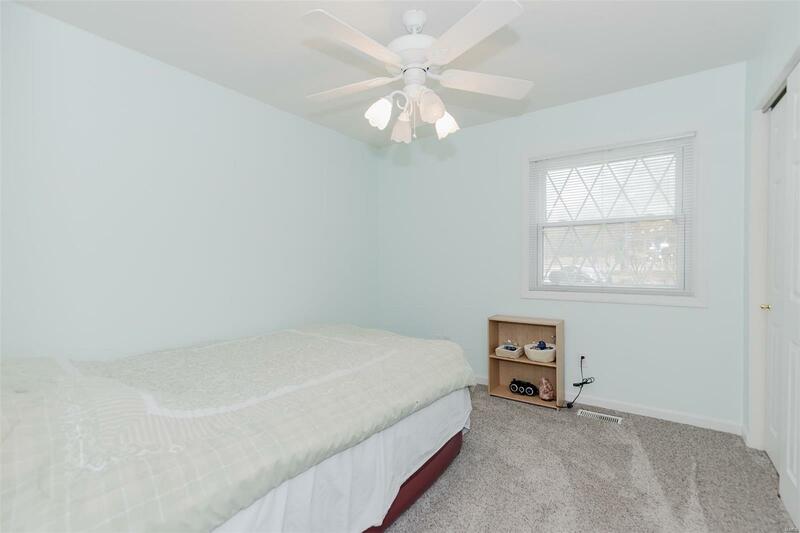 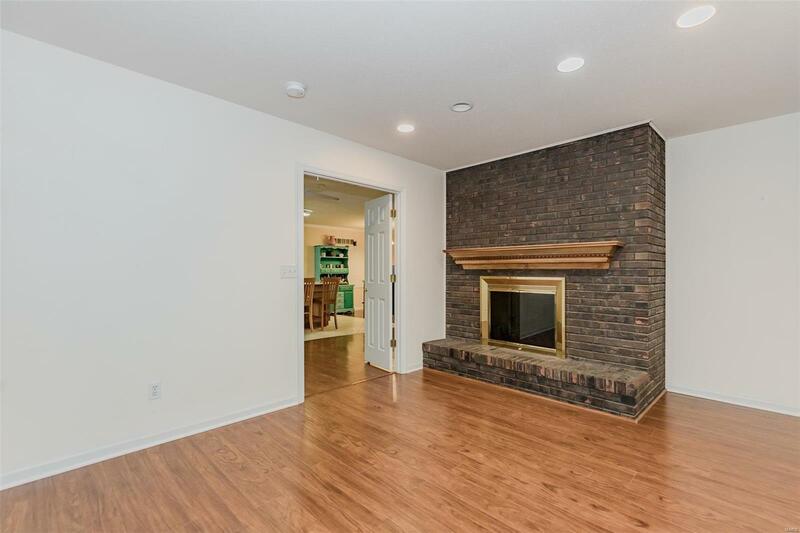 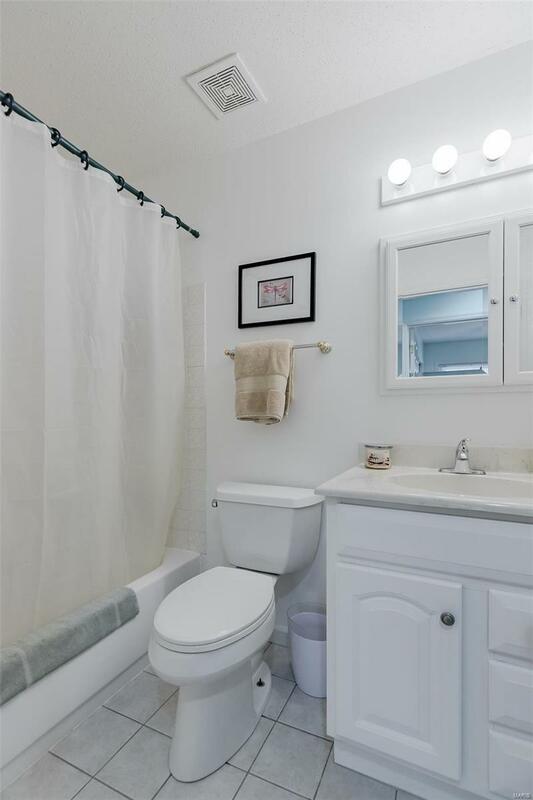 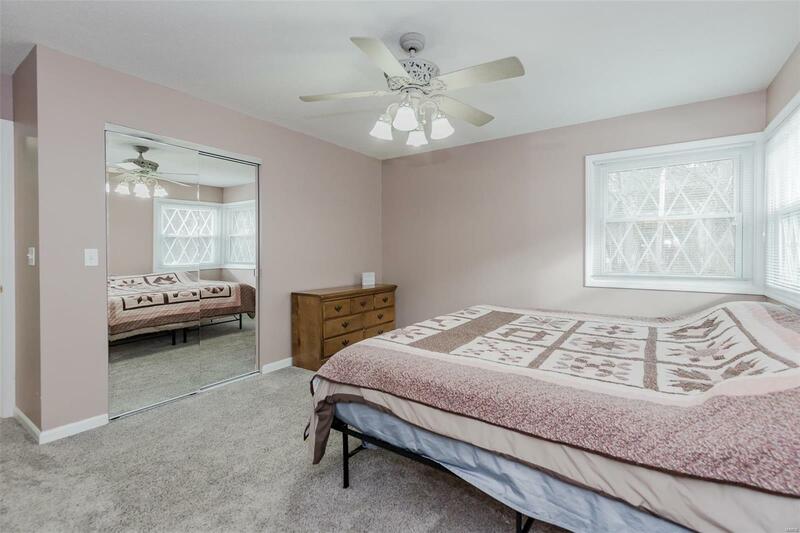 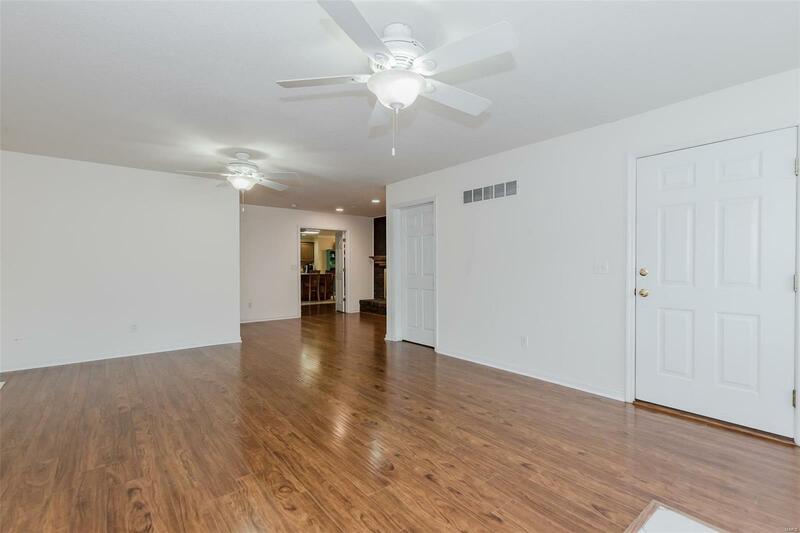 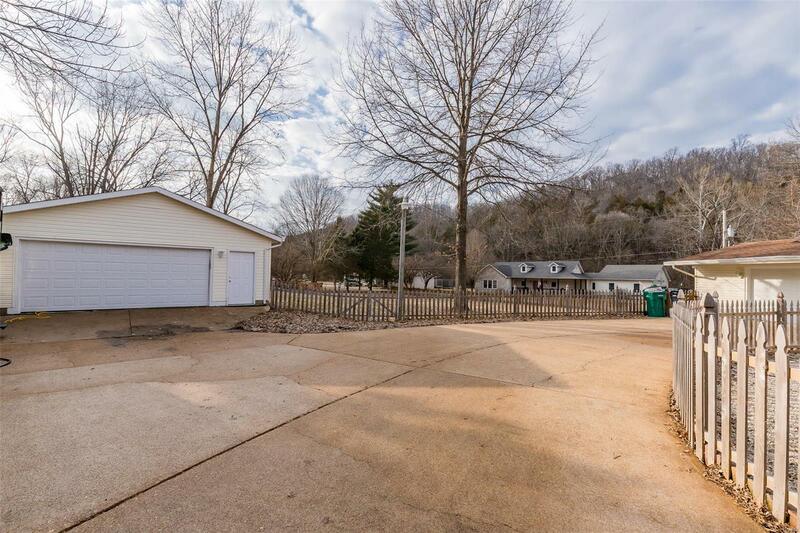 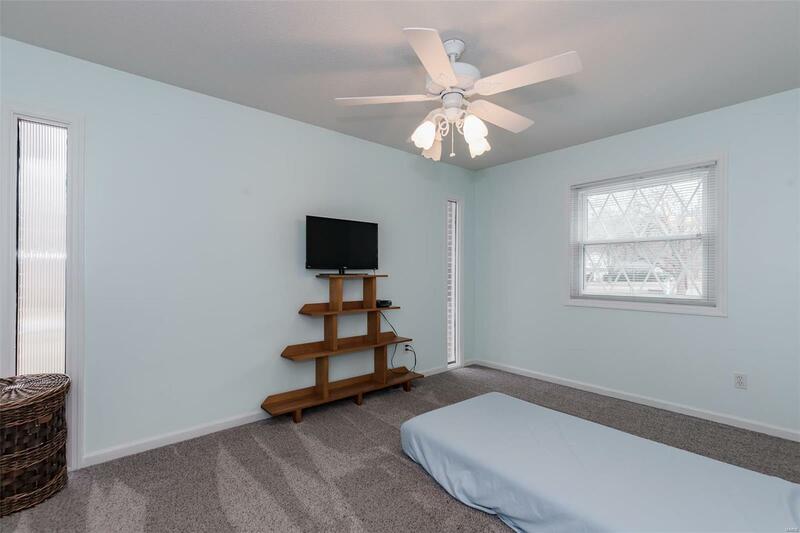 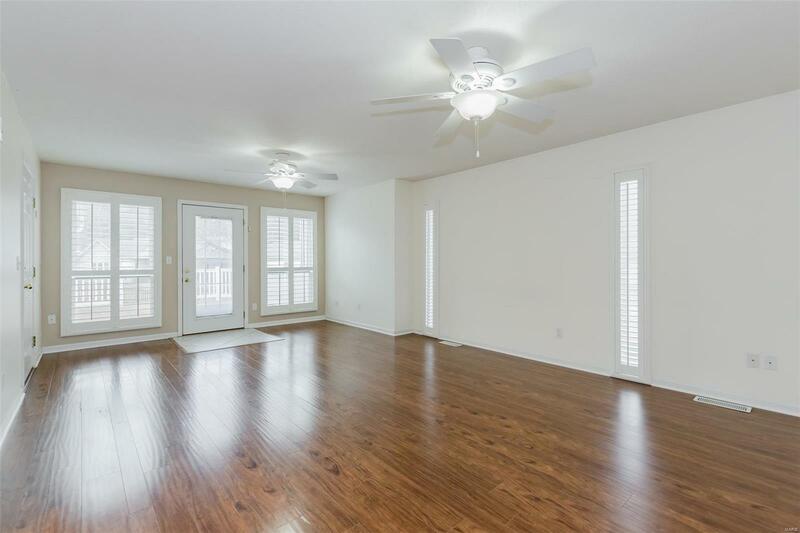 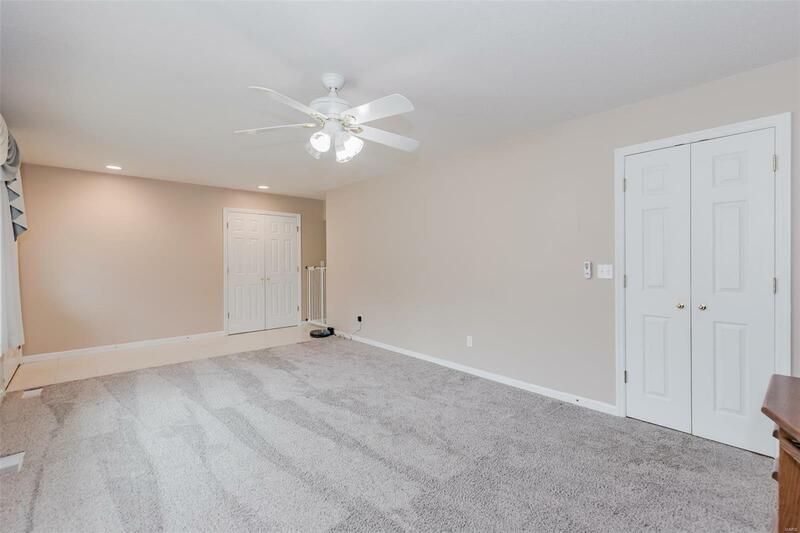 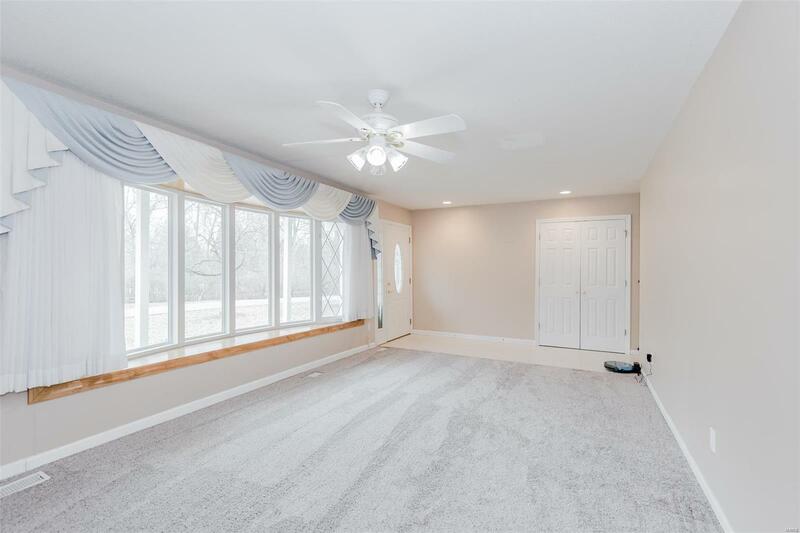 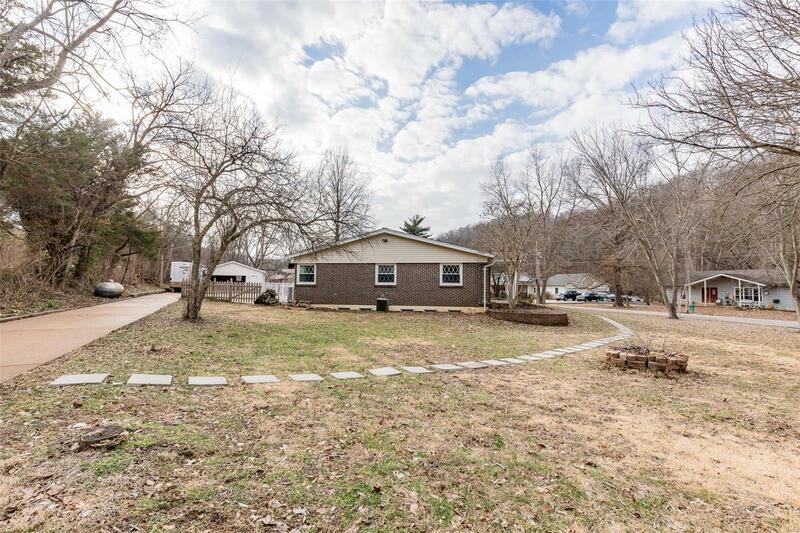 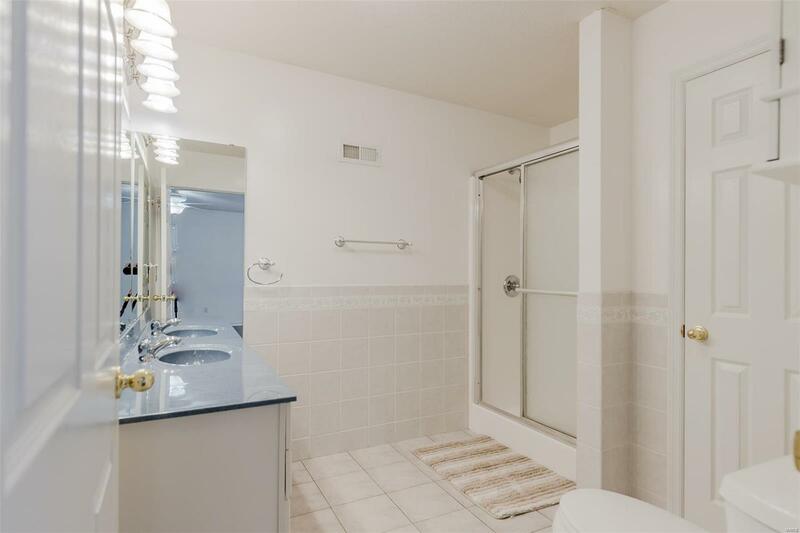 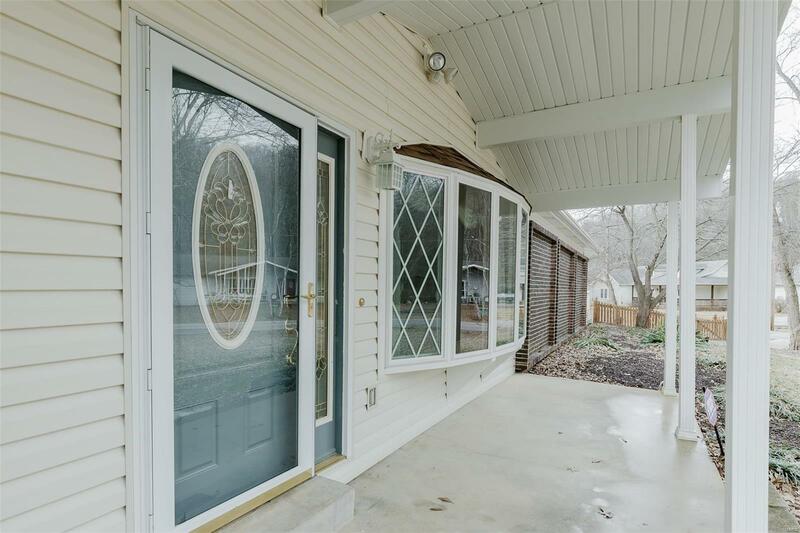 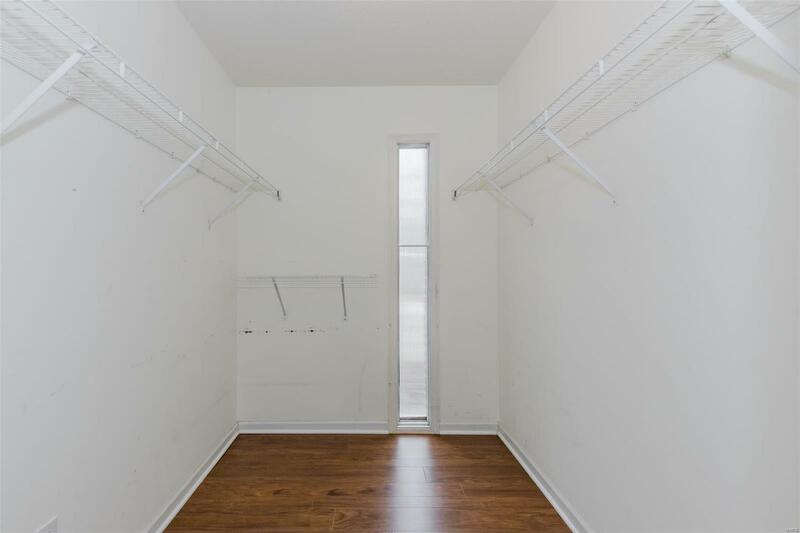 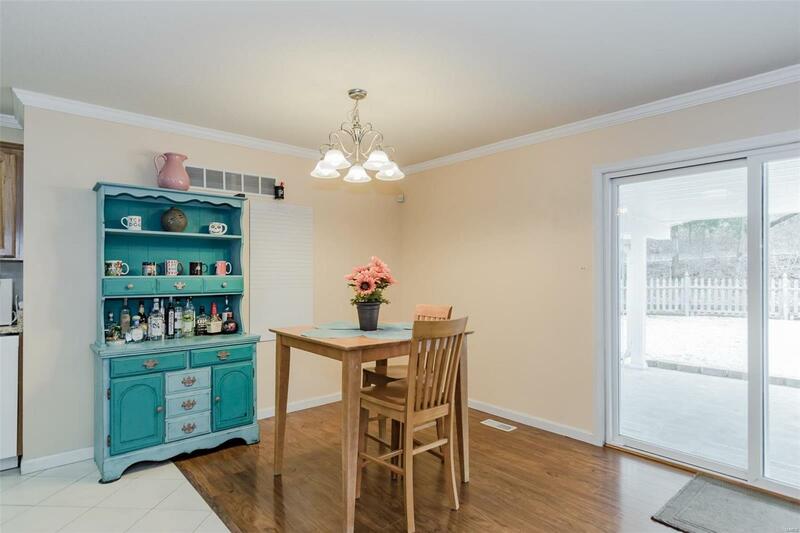 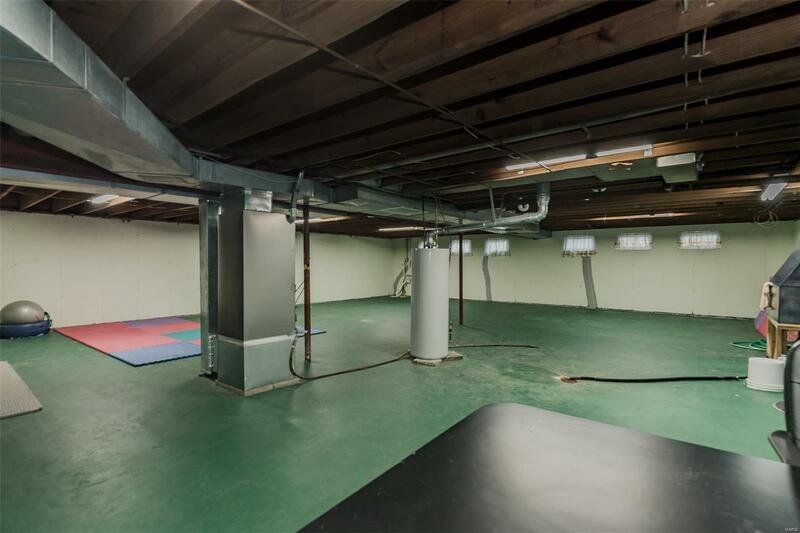 Hearth room w/ gorgeous see through fireplace to 2nd master suite or additional living space.Master suite & additional 2 beds on opposite side of home w/ updated baths, newer windows, carpet & sliding glass door.HUGE full basement w/ plenty of storage.Main floor & basement laundry hook ups. Dont miss out! 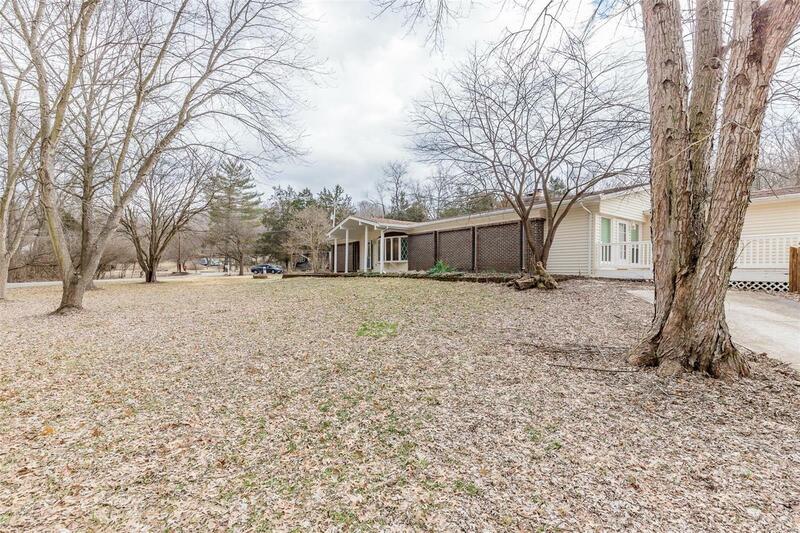 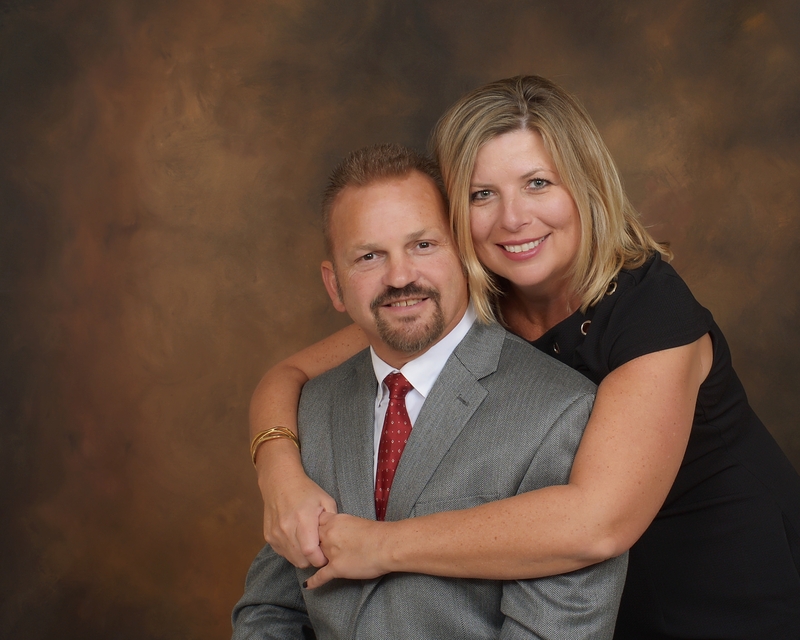 Elementary School: House Springs Elem.